CPS Researcher Profile: Ugo Troiano – How can policies improve life of the people? Post developed by Katie Brown in coordination with Ugo Troiano. This post is part of a researcher profile series that explores how Center for Political Studies (CPS) researchers came to their work. Today we profile Ugo Troiano, Faculty Associate in CPS and Assistant Professor in the Department of Economics. Growing up in Taranto, Italy, Ugo Troiano became fascinated with debate over the local steel factory. He followed discussions of how dormant policies could influence economics. This opened Troiano to a bigger question: How can policies improve the life of the people? Troiano already loved the social sciences and math. In economics, he found a fusion of the two and a toolbox to tackle this big question. He studied economics at Bocconi University. During his junior year, Troiano studied abroad at the University of Pennsylvania. This experience opened his eyes to the fruitful research environment of U.S. universities. After graduating from Bocconi, he enrolled in Harvard University’s Department of Economics to pursue a Ph.D.
For his dissertation, Troiano continued to explore the question of how policies can improve lives. In particular he looked at (1) how fiscal restrains can reduce government debt, (2) how a government program to combat tax evasion impacted vote choice, and (3) how maternity leave policies reflect gender equality. 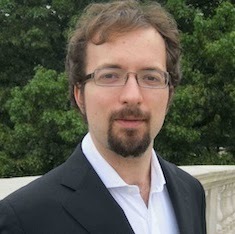 Troiano continues to explore the central question of his research, studying how political incentives shape the implementation and consequences of public policies, using both traditional economic tools and tools from other social sciences, especially psychology, linguistics, sociology and political science. He joined the Department of Economics at the University of Michigan in 2013. He joined the Center for Political Studies, which he sees as reflecting the political science underpinnings of his work, in the fall of 2014. This entry was posted in Foreign Affairs, International, Profile on February 20, 2015 by David Howell. This post is a special edition of our researcher profile series. We’re very pleased to welcome Stuart Soroka to the Center for Political Studies (CPS)! Post developed by Katie Brown and Stuart Soroka. Stuart Soroka’s work has always involved the interactions between mass media, the public, and government. His early work looked at agenda-setting — the power of media content to influence what people think about, simply by presenting stories on certain topics. Instead of focusing on news content, however, Soroka looked at the potential for politically-relevant agenda-setting in feature films. When issues appear in movies, do the public and politicians then become more interested in them? (As an example, think about the release of Jurassic Park as potentially spurring interest and investment in paleontology.) His work in this area led to an interest in agenda-setting more broadly, and a doctoral dissertation on issue attentiveness from his time at the University of British Columbia. 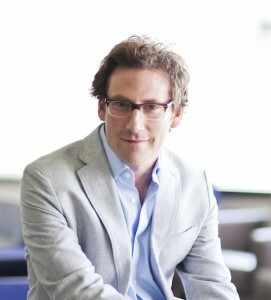 Since then Soroka’s work has focused on a new set of issues related to interactions between government, publics, and media. One stream of research asks: when do politicians agree and act in accordance with public opinion, and how do political institutions and media systems moderate this relationship? Another body of work is focused on the sources of public support for redistributive policy, with a particular interest on the potential tensions between redistribution and ethnic diversity. And most recently, his efforts have examined the sources and consequences of negativity biases in political communication and political behavior. With this research agenda, Soroka has published four books and more than 50 journal articles and book chapters. He was Assistant Professor, then Associate Professor, and then full Professor of Political Science at McGill University. He recently joined the Center for Political Studies (CPS), department of Communication Studies, and department of Political Science at the University of Michigan. At Michigan, he plans to further extend his work on political representation, negativity biases, and the impact of emotion in both news and entertainment media. This entry was posted in Profile on September 25, 2014 by David Howell. Post developed by Katie Brown and Nahomi Ichino. 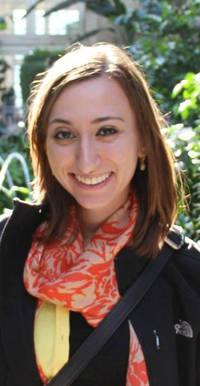 This post is a special edition of our researcher profile series. We’re very pleased to welcome Nahomi Ichino to the Center for Political Studies (CPS)! Ethnic politics and voter behavior in developing countries have long fascinated Nahomi Ichino. She partly attributes this to the relative homogeneity of Japan. The idea that people could be divided across many different ethnic groups and that this could be a major impediment for people to work together to make decisions for society as a whole seemed foreign and therefore intriguing to Ichino. News coverage of the 1983-1985 famine in Ethiopia sparked her interest in developing countries and Africa in particular. As an undergraduate at Yale University, Ichino took a class on economic development in Africa with Christopher Udry. The course focused on how individuals in poor societies coped with risk and the lack of information as they made economic decisions like saving, borrowing, and lending money, or investing in the education of male and female children. Even as Ichino went onto study more macro-level political topics like political parties, she kept an interest in how individuals made political decisions in these environments. After graduation with a degree in political science, Ichino continued to study this topic through graduate school, earning a Ph.D. in political science from Stanford University in 2008. She then joined the faculty at Harvard University’s Department of Government. 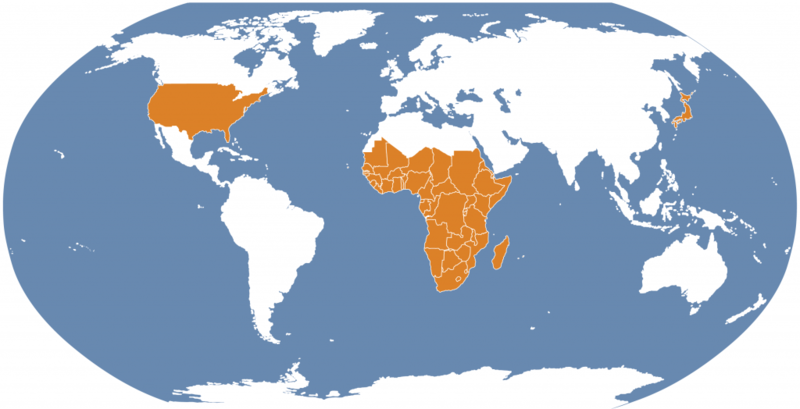 Ichino continued to focus on sub-Saharan Africa during her time at Harvard, where she considered ethnic politics and voter behavior in developing democracies. With support from the National Science Foundation, she conducted research in Ghana, and produced a number of articles. Ichino has also conducted fieldwork in Uganda, Nigeria, Benin, Malawi, and Zambia. She also writes on methodological issues. Her work has been featured in the American Political Science Review and the American Journal of Political Science, among others. This entry was posted in Foreign Affairs, International, Profile on September 18, 2014 by David Howell. Post developed by Katie Brown in coordination with Muzammil Hussain. This post is a special edition of our researcher profile series. We’re very pleased to welcome Muzammil Hussain to the Center for Political Studies (CPS)! 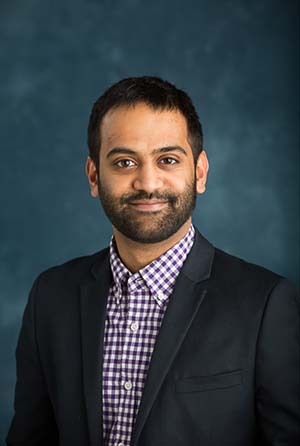 Hussain’s research began in 2005 at University of Wisconsin – Madison, where he completed his Bachelor of Science degree at the School of Journalism and Mass Communication. Intrigued by political communication research, Hussain sought to take the American orientation of the field into parallel domains. In particular, he turned to Bangalore, India – his hometown. Hussain received a fellowship to study the social contexts and consequences of “new media” in Bangalore internet cafes, covering all types of neighborhoods: slums, religious, separated, and class-based. He also applied a variety of methods to his fieldwork in these diverse contexts. His research interests intensified at the University of Washington, where he relocated in 2008 to pursue his M.A. and Ph.D. in Communication. Over the last three years, Hussain has shifted his research focus to political systems. In particular, his research asks how technology diffusion is a politicized, transnational project. That is, how the deployment of new internet infrastructure not only shapes the ways people use digital media in political ways, but fundamentally how these new opportunities for participation and mobilization are afforded, structured, and regulated by state powers. His research has culminated in two book projects. Democracy’s Fourth Wave? Digital Media and the Arab Spring (OUP 2013) compares the Arab Spring in depth in 22 nations. State Power 2.0 (Ashgate 2013) is an edited volume that includes scholars from advanced democratic, authoritarian, and emerging democratic nations. Through his field research and international stays, Hussain has seen first hand the key role state governments play in the evolution of media systems. In the future, he seeks to bring governmental systems, not just social actors, into the equation of his research. Post-internet democracies, Hussain says, are characterized as increasingly technocratic. Comparative analysis shows both advanced democracies and recalcitrant dictatorships treating public information infrastructure in surprisingly similar ways. Muzammil Hussain is excited to be a member of both the Department of Communication Studies and the Center for Political Studies. He seeks to root his research in the areas of media studies and political communication, while drawing on the comparative ethos of political studies. These lenses allow a more comprehensive picture of comparative digital politics to emerge. Before relocating to Ann Arbor this January, Hussain completed a fellowship at the Qatar Computing Research Institute (Doha, Qatar) investigating digital activism surrounding the post-Arab Spring electoral politics in Tunisia and Yemen. This entry was posted in Innovative Methodology, International, Profile on March 27, 2014 by David Howell. Post developed by Katie Brown in coordination with Fatima Ali Hussain Al-Kubaisi. Dr. Fatima Ali Hussain Al-Kubaisi grew up in Qatar. After receiving her B.A. in Sociology from Qatar University, she moved to Egypt. At Cairo University, she pursued her M.A. and then Ph.D. in Sociology. 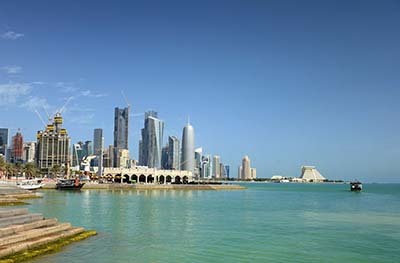 Upon completion of her doctorate, Al-Kubaisi returned to Qatar as Assistant Professor of Sociology at Qatar University. 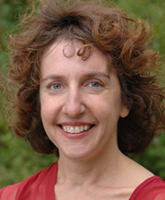 Her work and teaching focus on considering gender and family from sociological perspectives. Over her lifetime, Al-Kubaisi has witnessed Qatar transform into an extremely rich and developed state thanks to oil. This societal sea change serves as the backdrop of her research. In particular, she has considered whether issues of gender differ in the age 35 and younger crowd. Al-Kubaisi also considers the role of women and the meaning of motherhood in Qatar. Further enriching her work, Al-Kubaisi serves in a variety of posts: vice president of the Qatar Foundation for Child & Women Protection, 2010-2013 member of the Arabic Network of NGOs, member of the Woman Affairs Committee in the Supreme Council for Family Affairs, and as social expert in family strategy teamwork for the Supreme Council for Family Affairs. For the 2013-2014 school year, Al-Kubaisi is a visiting scholar in the Center for Political Studies (CPS) at the University of Michigan. She sees this as another way to enrich her scholarship. Al-Kubaisi is especially intent upon elevating her language proficiency and adding quantitative methodology to her qualitatively driven work. She is very excited to be here and expresses her thanks to those making her stay possible, especially Nancy Burns and Dave Howell. This entry was posted in International, Profile on January 8, 2014 by David Howell.